Apples and Pears was started in 1977 by local mothers as a voluntary run playgroup: a solution to the lack of play facilities in such a densely built-up area. They organised playschemes and camping breaks during school holidays. In 1983 Hackney Council agreed to fund a consultation worker, with whose help the residents chose a site whose exisiting prefab houses were ready for demolition. The St. Mary's Garden Group was established and together with Apples and Pears applied to lease the land from Hackney Council, who also help provide funding. 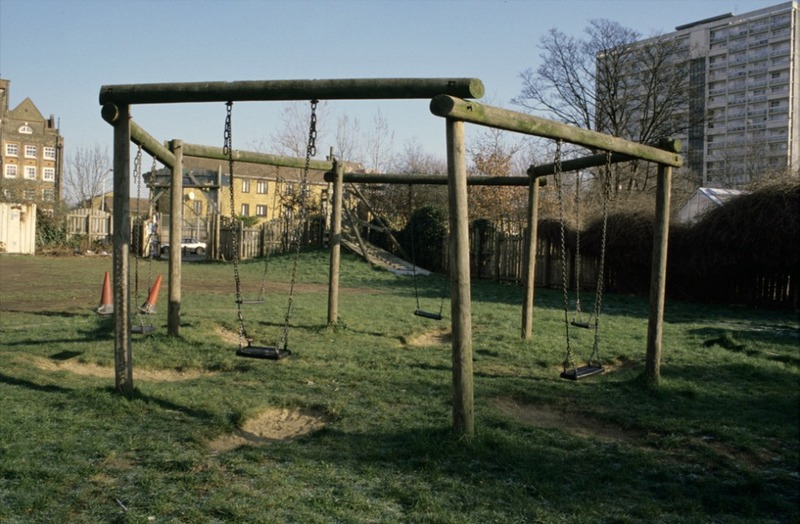 The playground was photographed in 2003 and at that time consisted of a large open play area and various adventure play structures.